This pathway provides guidance on the imaging of adult patients with new onset traumatic and non-traumatic shoulder pain or instability. 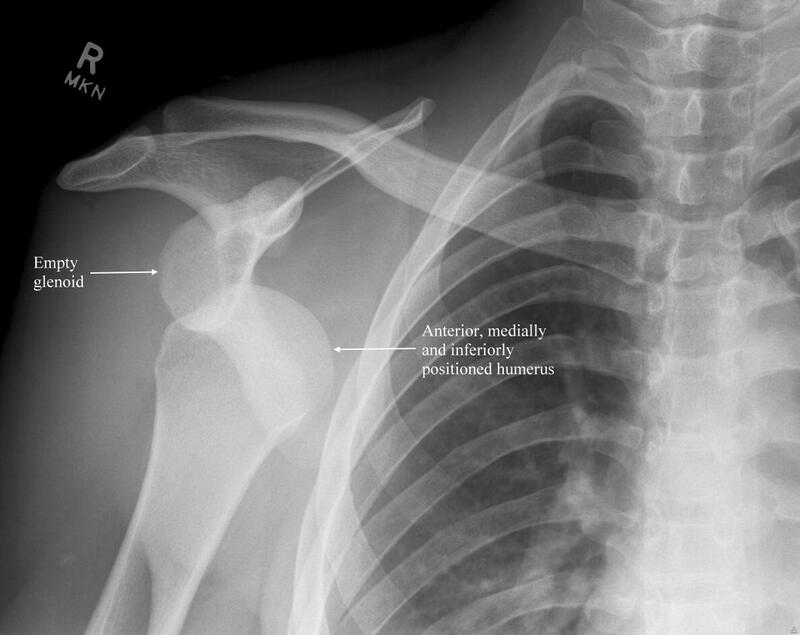 Image 1 (Plain Radiograph): Anterior shoulder dislocation showing anterior, medially and inferiorly displaced humeral head. 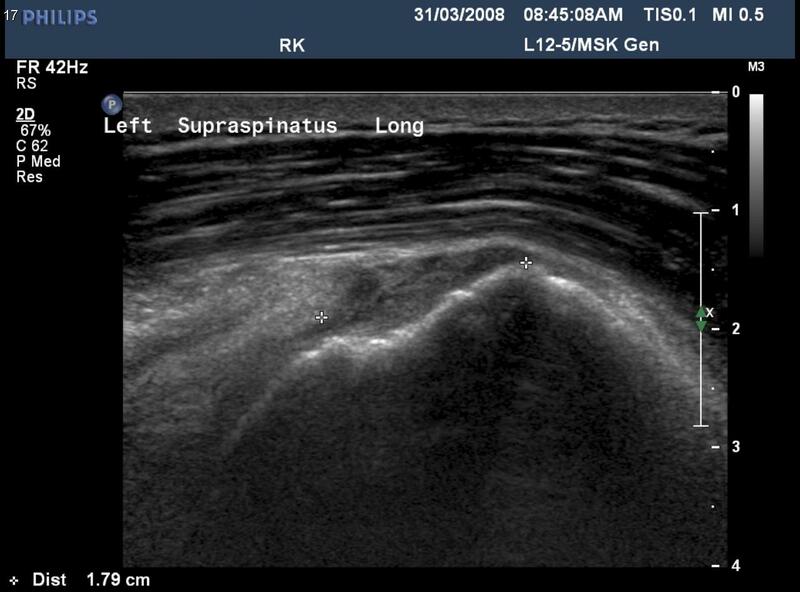 Image 2 (Ultrasound): Full thickness supraspinatus tendon tear of the left shoulder (arrow). 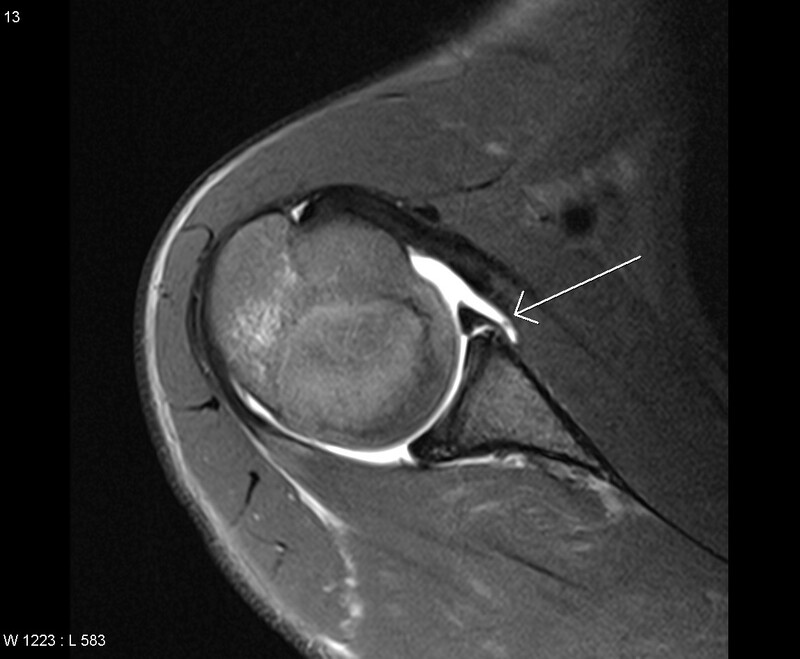 Image 3 (MR Arthrogram): Axial fat-saturated proton density image of shoulder showing anterior labral tear.